While the calendar says we should be emerging from the icy grip of Winter, the weather we are experiencing at the moment suggests a different truth. There is still plenty of time to partake in a bottle of one of our favourite cold weather wines, the mighty Shiraz. From the steep terraces overlooking the Rhone river, producing elegant wines with signature black pepper notes (e.g. Romain Duvernay St. Joseph), to the enclaves of Southern Australia, the Barossa Valley being the best known, with its own signature hints of dark chocolate (e.g. Penfolds Grange), Syrah/Shiraz has become one of the world’s widest planted grape varieties, even gaining momentum in traditional Cabernet Sauvignon strongholds like South Africa or the land of the once dominant Carignan, the Languedoc. Produced by renowned Aussie winemaker John Quarisa, this is a multi-award winning wine with wonderful aromas of dark fruits on the nose with hints of vanilla, followed by intense flavours of blackberries and a touch of chocolate, backed up by rich, smooth tannins. It is a superb wine at a magnificent price: only €9.99, reduced from €12.99. Coming from the award winning vineyards of Foncalieu, this wine has an intense, deep purple colour. The aromas are mixed and complex at first with spices, leather and violette flower and then blackcurrant and toasted notes appear. It’s full-bodied on the palate with flavours of raspberry, strawberry and cherry, soft tannins & long length, coming in at €12.99. The Greenstone vineyard was purchased in 2003 by viticulturalist Mark Walpole, formally chief viticulturist for Brown Brothers, Tuscan winemaker Alberto Antonini and Master of Wine David Gleave. This trio were attracted to the town of Heathcote by the potential of the ancient red soils to create a unique and spectacular wine. Fresh draught craft beer is now available to buy in growlers at McHugh’s Off-Licence Kilbarrack and Artane thanks to addition of our new foamless beer dispensing units in our stores. This system pressurizes the bottle with carbon dioxide, then by releasing a two-way valve, the beer runs down the inside of the bottle, filling it from the bottom and displacing the carbon dioxide. The beer only ever touches the bottle. Basically, we pressurize the bottle, counter-fill it under the pressure and cap off with foam, much like a bottling plant. What this means is that we can now offer fresh draught beer straight from the keg, which can be bought to enjoy at home and even stays fresh for up to two months. We will have four rotating taps at any one time, and endeavour to pour only the best in local, obscure, limited and seasonal beers. Even in its infancy, we’ve had high demand for Lagunitas IPA, and we’ve decided to keep this as a staple for the foreseeable future. It’s not hard to see why, given the huge hit of fresh hops and sticky toffee malt that this 6.2% abv IPA has to offer. Most kegs will have an average turnaround of 2-3 weeks so keep an eye on twitter and facebook for regulator updates on what’s pouring at McHugh’s! As the winter doesn't seem to be leaving us any time soon, we've still got time to savour some great winter seasonals while the cold is still around. Up for discussion, we've got Flying Dog's K9 cruiser, O'Hara's Winter Star and Anderson Valley's Winter Solstice. Maryland's Flying Dog is known for its quirky beers and this winter seasonal is no different. As with several other winter seasonals, the recipe changes slightly from year to year, so we never really know what we're going to get in the end. What we do know, is that it's a strong, dark ale, brewed to 7.4% ABV. It's got a nice off-white fluffy head and aromas of roasted hazelnuts, fruit cake and plums. The mouthfeel is quite full and just on the pleasant side of syrupy. It finishes with clove spiciness and nice alcohol warmth. O'Hara's Winter Star is described as a spiced amber ale and features coconut, cinnamon and orange essence. It pours a nice deep copper colour with good sized white head. There's a good dose of cinnamon on the nose with a sweet malty, caramel base. Some citrus is found on the palate from the orange essence with smooth spicy notes on the finish. At 4.3% ABV it's a lighter, more refreshing style than our last beer and a great alternative to the darker, heavier winter styles. Our last beer comes from California's Anderson Valley. "Winter Solstice" is strong spiced ale, which pours dark amber with a modest, tan head. The nose is quite rich and complex with plenty of ginger, cinnamon, muscovado and dried fruit in abundance. On the palate there's a nutty breadiness which underlies sweet cherry and cinnamon spice. This is the perfect match for a hearty winter stew, and just the thing to warm you up on the last of these cold, winter nights. While there may be no sign of snowflakes just yet, the true herald of Christmas cheer has arrived; the Christmas seasonal brews! And today we’re trying three different festive ales, White Gypsy’s Yule Ól; Anchor Brewing’s Christmas Ale, and Mikkeller’s Hoppy Lovin Christmas. Templmore’s White Gypsy is the first up with its festive dark ale, Yule Ól. Unlike their core 70cl bottled range (due back before Christmas, I might add), this is bottled in a 50cl bottle and pours a dark, deep ruby colour with a fluffy tan head. It’s more Christmas pudding than Christmas cake on the nose, with an emphasis on dried fruit rather than seasonal spice. There’s plums, figs, redcurrants and brown sugar sitting on top a nice base of nutty brown bread. On the palate it comes across a little more toasty with a hint of chocolate and plenty of sweet dried fruit on the finish. The 6% ABV means it’ll warm you up just the right amount too. Certainly one to try with some quality hard cheeses after dinner. Anchor Brewing has been brewing its Christmas Ale since 1975, making this year their 40th Christmas brew. The recipe has remained a closely guarded secret throughout this time and slight variations are made every year. Judging by the aroma that leaps out as soon as the cap is popped, it’s a very long recipe… Talk about festive! Cloves, nutmeg, cinnamon, raisins, figs, toffee and ginger nut biscuits abound, with rich molasses on the palate finishing in intense clove spice. This deep, heavily spiced porter truly epitomises Christmas ale and would go great with the Christmas pudding or simply enjoyed by the fire. This year it also comes in a 1.5L magnum, the perfect gift for the craft beer connoisseur! Finally we have a festive brew all the way from Denmark; Mikkeller’s Hoppy Lovin’ Christmas. In true Mikkeller fashion, it’s a slightly twisted version of a Christmas beer. The label features a few lads in Christmas jumpers (and signature Mikkeller bowler hats) feeding some reindeer mistletoe in their living room, which kind of sets the tone nicely…enough said. This is described as an IPA brewed with pine needles and ginger, which I suppose could be considered festive. I mean, to be honest, who doesn’t love the smell of a pine tree at Christmas? And that’s what you’re getting with this beer. It’s like a Christmas tree in a bottle. Very intense pine fills the aroma and palate with some tropical fruit and subtle spicy notes behind it. Not your traditional festive brew but a damn fine quirky IPA for the season. There are plenty more Festive beers in stock in-store and online, all in limited supply, so pop in and get them before they’re gone! When we think of the great craft beer nations of the world, Italy is probably not the first one that comes to mind. However, over the last couple of decades Italy has seen its microbreweries grow from just a handful to over 400 at present. 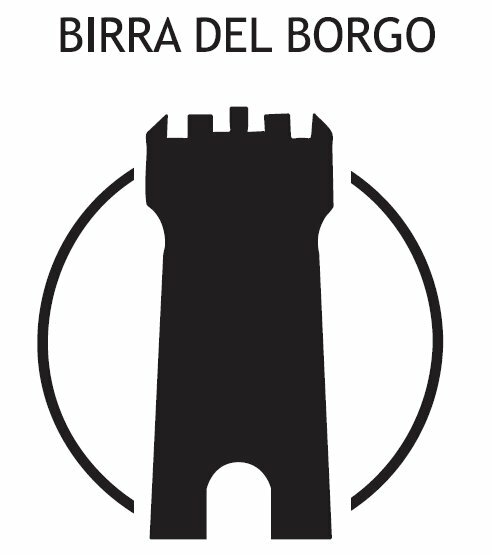 There has been a real push for quality and luxury within Italian craft brewing and this is exactly what's to be found in our two featured beers: My Antonia and Re Ale from Birra Del Borgo. The first thing one notices about these beers is the striking bottle shape and labelling, a common theme in the modern Italian craft beer movement. These beers really do have an air of prestige about them, something not uncommon to Italian craftsmanship. Described as a "Continually-hopped Imperial Pils", My Antonia sits alongside Nogne O's Premiant Imperial India Pilsner and ,the new to Ireland, Christoffel Noble in the "I can't believe it's not DIPA" category of lagers which seem to be making a bit of a name for themselves lately. Being brewed in collaboration with Delaware's Dogfish Head brewery (who also recently collaborated with Charles Wells for "DNA New World IPA") would go quite a way to explaining the full-on tropical-hopped American edge this beer immediately demonstrates with pineapple, mango and citrus bombast towering over honey undertones. The palate is round and full with sweet biscuit malt surrounded by tangy tropical tartness and just a hint of pine on what is a very smooth finish for a 7.5% abv beer. Re Ale is an American style pale ale that pours dark hazy amber with a thick, fluffy off-white head. The aroma is of mandarins and grapefruit while the palate has a sticky toffee maltiness finished with a bitter, spicy hop character that lingers just the right amount. At 6.4% abv it's not too strong, although certainly not light, and definitely one to be savoured. It's safe to say the luxury suggested by the presentation is most certainly carried through to the important part!